I update this bibliography as new material is published, but it is not exhaustive. Please let me know what I'm missing. Advisory Council on Historic Preservation (ACHP) 2012 106 success story. Space shuttles: NASA contribution to space flight and exploration. Capelotti, P.J. 2015 Mobile artefacts in the solar system and beyond. In B.L. O'Leary and P.J. Capelotti (eds), Archaeology and Heritage of the Human Movement into Space, pp. 49-59. Heidelberg: Springer. Darrin, M. Ann Garrison 2015 The impact of the space environment on material remains. In B. L. O'Leary and P.J. Capelotti (eds) Archaeology and Heritage of the Human Movement into Space, pp 13-28 Heidelberg: Springer. Day, Dwayne A. 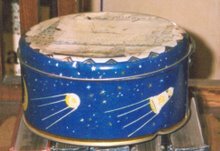 2000 Space History-RELICS OF THE SPACE RACE: Space Archaeology of Vandenberg Air Force Base, Part 1. 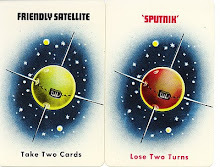 Spaceflight 42(2): 59-62. Day, Dwayne A. 2000 Space History-RELICS OF THE SPACE RACE: Space Archaeology at Vandenberg Air Force Base, Part 2 Spaceflight 42(3):120-123. Donaldson, Milford Wayne 2015 The preservation of California's military Cold War and space exploration era resources. In B.L. O'Leary and P.J. Capelotti (eds), Archaeology and Heritage of the Human Movement into Space, pp. 91-110. Heidelberg: Springer. Finney, B.R. 1992 From sea to space. Palmerston North, NZ: Massey University. Gorman, A.C. 2018 Gravity's playground: dreams of spaceflight and the rocket park in Australian culture. In Darran Jordan and Rocco Bosco, ed.s Defining the Fringe of Contemporary Australian Archaeology. Pyramidiots, Paranoia and the Paranormal. Newcastle upon Tyne: Cambridge Scholars Publishing, pp. 92-107. Gorman, A.C. 2017 Trace Fossils. The silence of Ediacara, the shadow of uranium. In Julianne Schultz and Patrick Allington, eds. Griffith Review 55 State of Hope. Melbourne: Text Publishing, pp. 257-266. Gorman, A.C. 2016 Culture on the Moon: bodies in time and space. Archaeologies, 12(1) pp. 110-128. Gorman, A.C. 2016 Tracking cable ties: contemporary archaeology at a NASA satellite tracking station. In Ursula K. Frederick and Anne Clarke, eds. That was Then, This is Now: Contemporary Archaeology and Material Cultures in Australia. Newcastle-upon-Tyne, United Kingdom: Cambridge Scholars Publishing, pp. 101-117. Gorman, A.C. 2015 Robot avatars: The material culture of human activity in Earth orbit. In B.L. O'Leary and P.J. Capelotti (eds), Archaeology and Heritage of the Human Movement into Space, pp. 29–47. Heidelberg: Springer. Gorman, A. 2014 The Anthropocene in the Solar System. 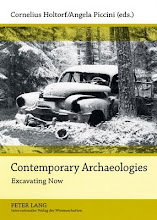 Journal of Contemporary Archaeology, 1(1) pp. 89-93. 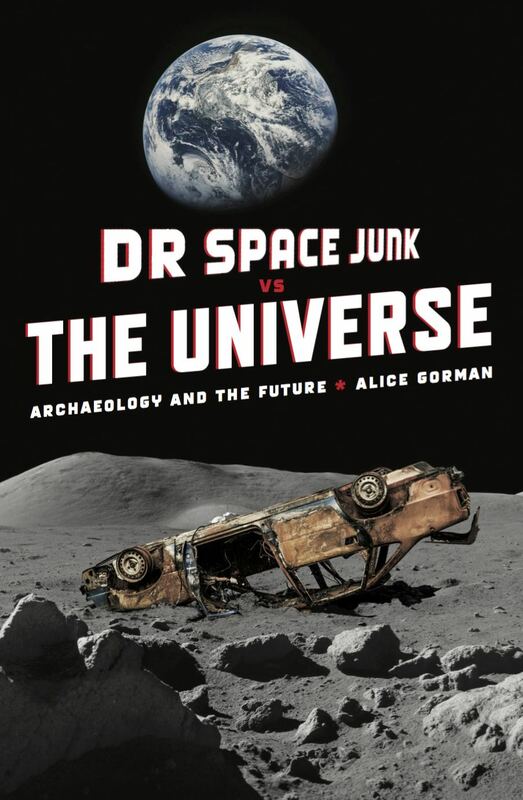 Gorman, A.C. 2014 Space Archaeology. In Encyclopedia of Global Archaeology. Heidelberg: Springer, pp. 6943-6948. Gorman, A. 2012 Space Archaeology. In Neal Silberman, Alexander Bauer, Margarita Diaz-Andreu, Cornelius Holtorf and Emma Waterton, eds. The Oxford Companion to Archaeology. 2nd ed. New York, United States of America: Oxford University Press, pp. 197-200. Gorman, A.C. 2011 The sky is falling: how Skylab became an Australian icon. Journal of Australian Studies, 35(4) pp. 529-546. Gorman, A.C. (2009). Heritage of earth orbit : orbital debris - its mitigation and cultural heritage. In Ann Garrison Darrin and Beth Laura O'Leary, ed. Handbook of Space Engineering, Archaeology and Heritage. Boca Raton: CRC Press, pp. 381-397. Gorman, A.C. (2007). La terre et l'espace: rockets, prisons, protests and heritage in Australia and French Guiana. Archaeologies, 3(2) pp. 153-168. O'Leary, B.L. and P.J. Capelotti (eds) 2015 Archaeology and Heritage of the Human Movement into Space. Heidelberg: Springer. O'Leary, Beth Laura 2015 'To boldly go where no man [sic] has gone before': approaches in space archaeology and heritage. In B.L. O'Leary and P.J. Capelotti (eds) Archaeology and Heritage of the Human Movement into Space, pp 1-12 Heidelberg: Springer. Reynolds, Joseph 2015 Legal Implications of protecting historic sites in space. In B.L. O'Leary and P.J. Capelotti (eds), Archaeology and Heritage of the Human Movement into Space, pp. 111-129. Heidelberg: Springer. Szczepanowska, H and T.G. Mathia 2011 Space heritage: the Apollo heat shield: atmospheric re-entry imprint on materials' surface. Materials Research Society Symposium Proceedings, 1319. Szczepanowska, Hanna M. 2015 The Space Shuttle Discovery, its scientific legacy in a museum context. In B.L. O'Leary and P.J. Capelotti (eds), Archaeology and Heritage of the Human Movement into Space, pp. 61–73. Heidelberg: Springer. Walsh, Justin St P. 2015 Purposeful ephemera: the implications of self-destructing space technology for the future practice of archaeology. In B.L. O'Leary and P.J. Capelotti (eds), Archaeology and Heritage of the Human Movement into Space, pp. 75-90. Heidelberg: Springer. Westwood, Lisa D 2015 Historic preservation on the fringe: a human lunar exploration heritage cultural landscape. In B.L. O'Leary and P.J. 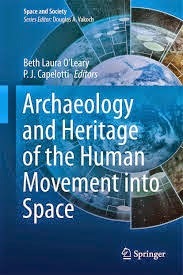 Capelotti (eds), Archaeology and Heritage of the Human Movement into Space, pp. 131-155. Heidelberg: Springer.